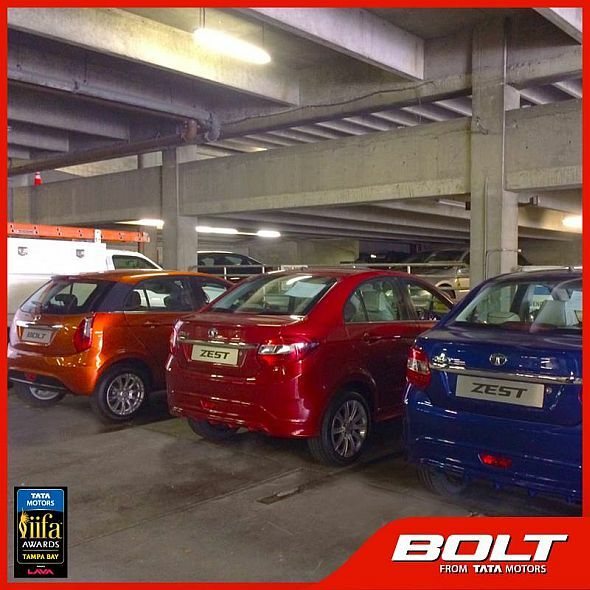 The Tata Bolt and the Zest have been showcased under the spotlight at the 2014 Indian Auto Expo. The cars have also been revealed on standalone web pages. However, we’re yet to have a glimpse of how the cars look under the sun in the real world. 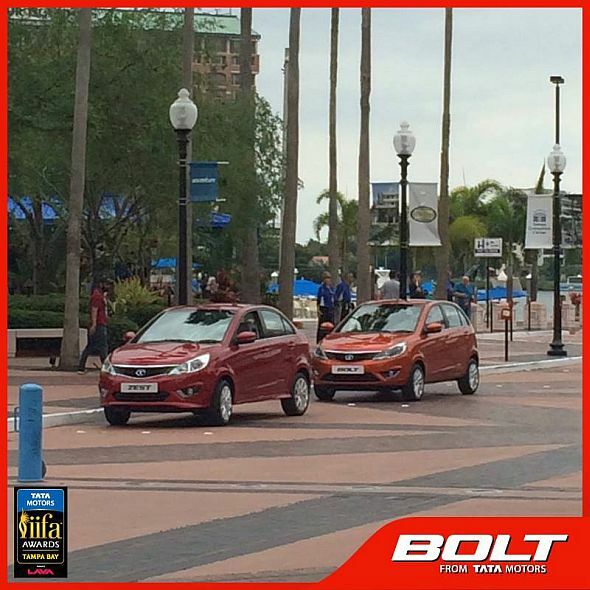 The IIFA (Indian International Film Academy) Awards of 2014 provide just that opportunity with the Bolt and the Zest being flown in to Tampa Bay, Florida. 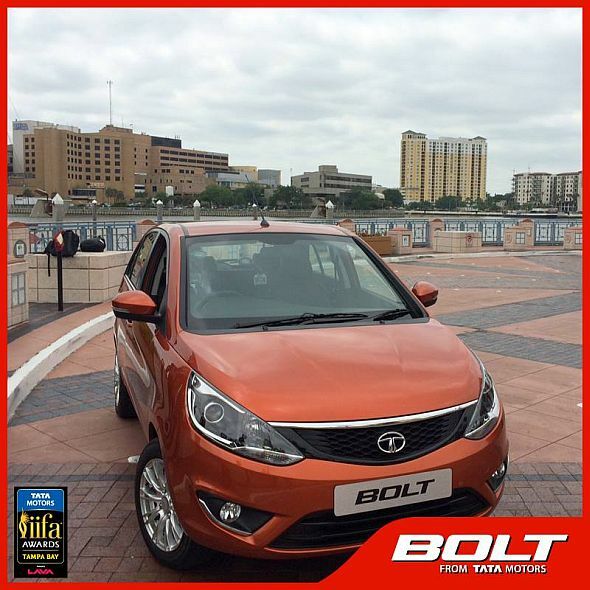 Tata Motors is a key sponsor partner of the IIFA awards ceremony and the Indian car maker has wasted no time in displaying its two major upcoming products, the Bolt and the Zest, at the IIFA in order to leverage on the awards ceremony’s global appeal. 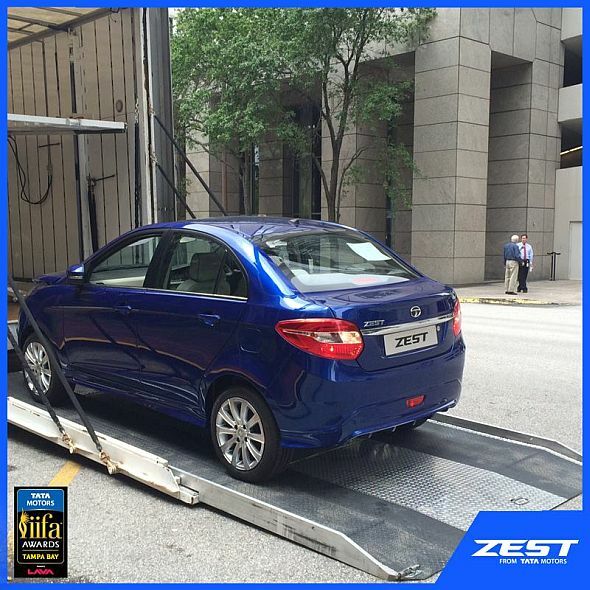 The Bolt and the Zest being unloaded into the venue of the IIFA Awards have revealed how the cars will look in the real world, shorn of the artificiality of the arc lights. 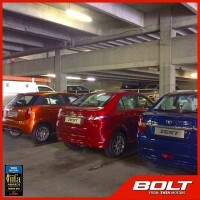 The Bolt is a B+ segment hatchback that will be produced at Tata Motors’ Pimpri factory from June. The car will feature a 1.2 liter turbo petrol engine (84 Bhp-140 Nm) and a 1.3 liter Fiat Multijet turbo diesel engine (75 Bhp-190 Nm). A 5 speed manual gearbox will be standard with both engines with Tata Motors also charting out plans to equip the Bolt with an automated manual transmission. The Bolt will be launched in the second half of this year. 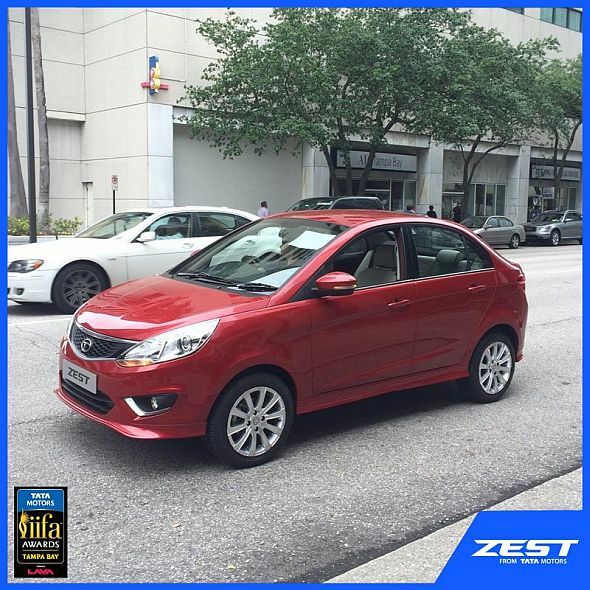 Like the Bolt, the Zest compact sedan is based on a tweaked version of the X1 platform. The Zest will compete with the likes of the Honda Amaze, the Maruti Dzire and the Hyundai Xcent. Like the Bolt, the Zest will be offered with the 1.2 liter turbo petrol engine and the 1.3 liter Fiat Multijet diesel engine. While the petrol engine will come in the same state of tune as it does on the Bolt, the diesel engine will output more power and torque, at 90 Bhp and 200 Nm. The Zest will get the automated manual transmission as an option with the 5 speed manual gearboxes being offered as standard fare across both the petrol and diesel motors. 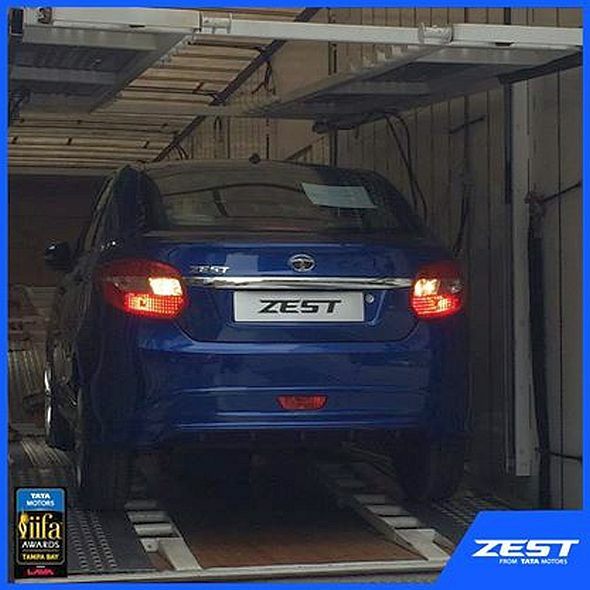 The Zest will roll out of the Ranjangaon factory, where Tata Motors and Fiat run a joint manufacturing facility. 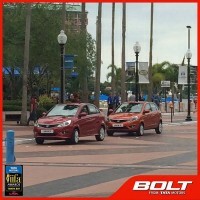 Both the Bolt and the Zest will get a touch screen infotainment unit.